Diane McCarthy joined the firm in 1997 and is a principal of the firm. She advises and represents clients in the purchase and sale of commercial real estate, leasing, and other real estate-related matters. 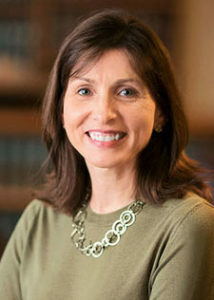 Diane also advises clients in connection with business organizational matters, including the formation, dissolution, purchase, and sale of Vermont business enterprises. Diane is recognized by The Best Lawyers in America for her work in Banking and Finance Law, Corporate Law, and Real Estate Law.